Humans has always been interested in through colors and lines change our appearance and become someone else. The industry is so large today it can be hard for companies to stand out on the shelf. One way to attract attention is to create an interesting product stand. 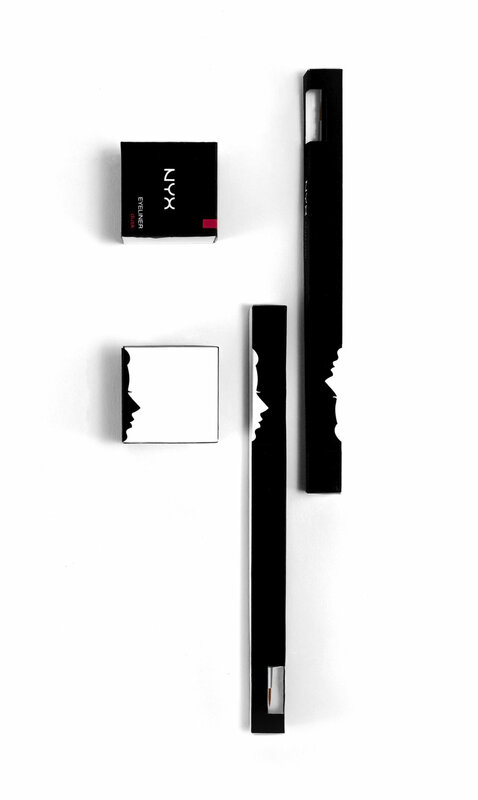 The company I chose was NYX Cosmetics, a company based in Los Angeles founded in 2010 by Tony Ko. They focus on making affordable products that have a near professional quality and their target group is women who consider make up to be something more than just a necessity. With this in mind I based my concept around their name, Nyx which refers to the Greek goddess of Night. I chose to make her my stand and this also give rise to her face appearing on all of the packaging as well. High contrast, strong colors and light was other design elements I chose to implement to help my concept.